The donation plan also known as help plan or gift plan or money order plan in MLM industry. Donation plans are running various International MLM companies and their MLM networkers, MLM leaders and no doubt the company which managing all the transactions, earning the huge profit in a very short period of time. Basically, this gift or help plan is a concept of give single and got multiple i.e. 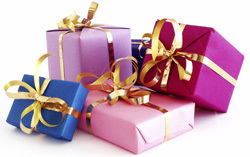 if you provide a single gift to a networker, you got multiple gifts from others. Donation plans are illegal in India and Indian Government declared that its money laundering. However, some countries Government allow such donation or gift plans. MLM Software India expert team is capable to design and develop such gift plans for the MLM Companies who provides their legal consent in their respected country.